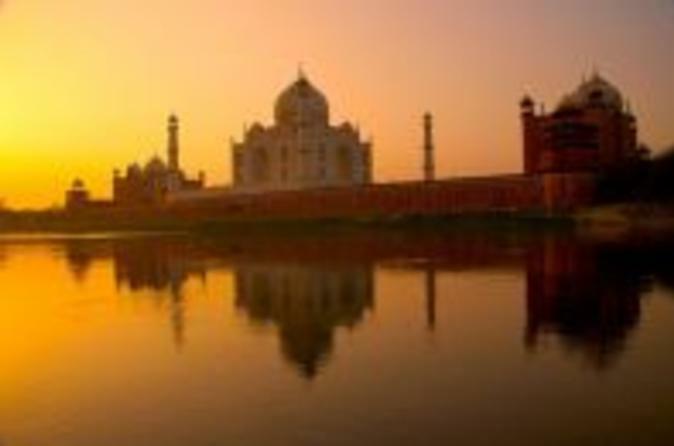 Immerse yourself in the history and culture of India on this 4-day private tour of India's Golden Triangle. From Delhi travel by private air-conditioned vehicle to Agra. 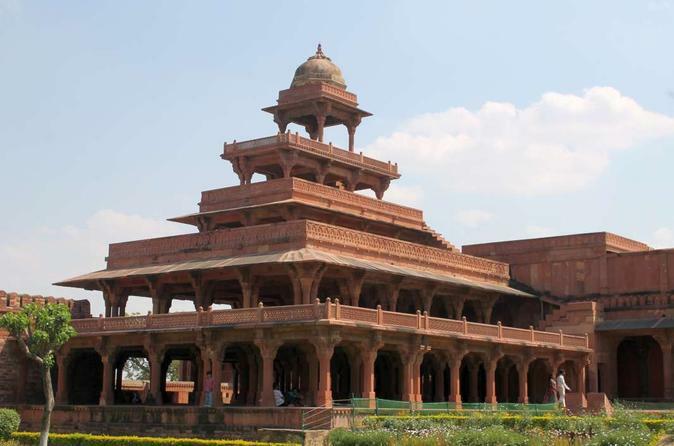 Visit the magnificent Taj Mahal, Agra Fort and many legacies of the mighty Mughal Empire including Fatehpur Sikri. In the 'pink city' of Jaipur, Rajasthan capital's visit hilltop forts and glorious palaces as you explore India's royal past. Enjoy the personalized service of your own guide as your senses are overloaded on this journey of discovery. Visit Agra to experience the stunning sunrise and sunset of Taj Mahal. 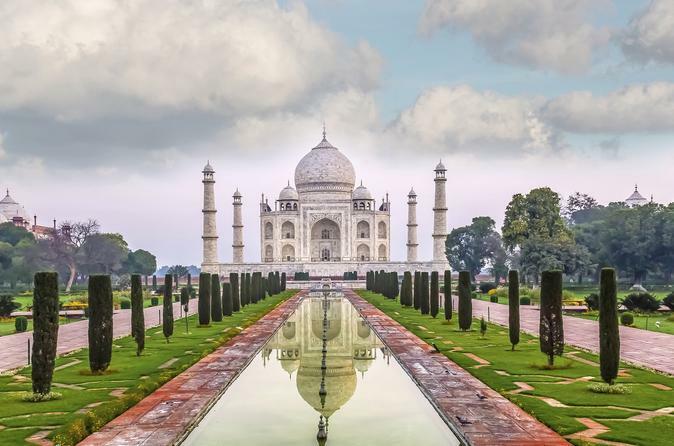 Your experienced local guide will reveal all the secrets about Taj Mahal and other UNESCO World Heritage in Agra including the magnificent Agra Fort, Baby Taj Mahal, and Great Emperor Akbar's tomb. Your journey will start at Taj Mahal in the morning and, before night falls, we take you to Mehtab Bagh (Moonlight Garden) for a beautiful romantic view of Taj Mahal at sunset. Your private guide will ensure a personalized and enjoyable experience at all time. You might have seen Taj Mahal, but have you seen Taj Mahal at sunrise? Sunrise Taj Mahal Agra Private City Tour starts your day with the once-in-a-lifetime chance to experience the iconic monument bathing in morning sunshine. Afterwards we take you to another two UNESCO World Heritage Sites - Agra Fort and the fascinating abandoned city of Fatehpur Sikri. Join us for this private full-day tour of Agra to discover the glory of the Mughal Empire of India! 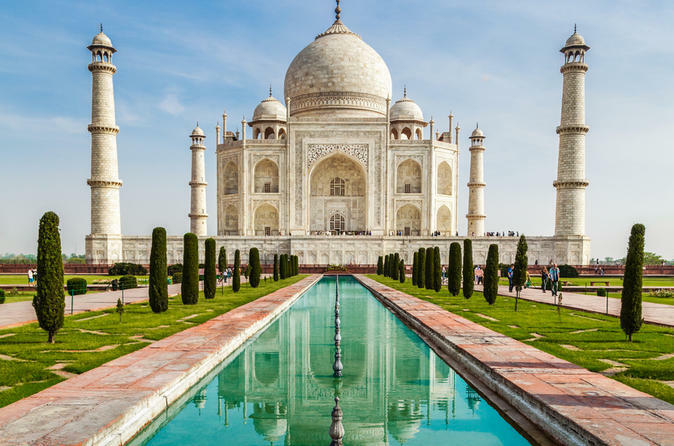 You can see some ancient architecture significant to India’s history including the Taj Mahal, Tomb of Itmad-ud-Daulah (Baby Taj), Fatehpur Sikriand and the Agra Fort, a 16th-century Mughal monument. 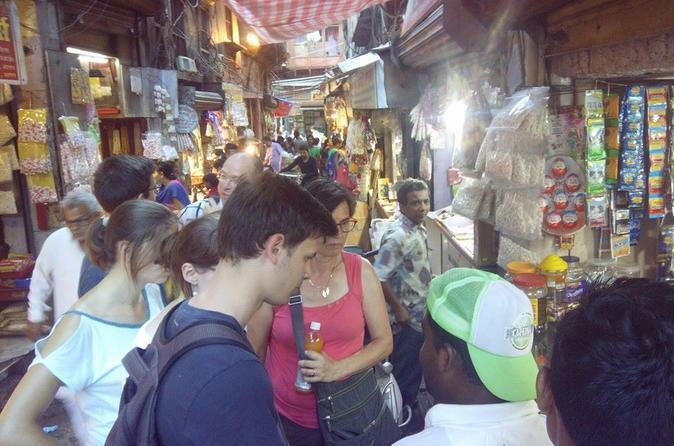 Your own private guide will ensure that you get an in-depth experience through out the tour! This full-day private city of Agra tour offers up a few fascinating things to see. The Taj is unquestionably the star attraction, along with two other immense structures, the imposing Agra Fort and the fascinating abandoned city of Fatehpur Sikri. All of which are UNESCO World Heritage Sites you don't want to miss. The beauty of the Taj Mahal varies from dawn to dusk. Visit the Taj Mahal at sunrise shrouded in mists and bathed with a soft morning glow. 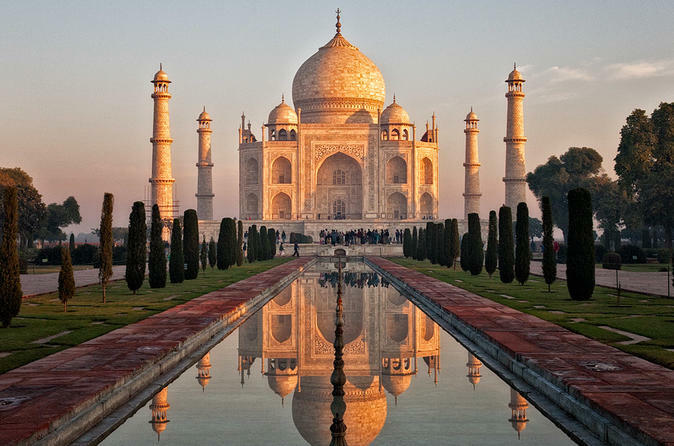 You will enjoy the mesmerizing view of the Taj mahal at sunrise on this private tour. 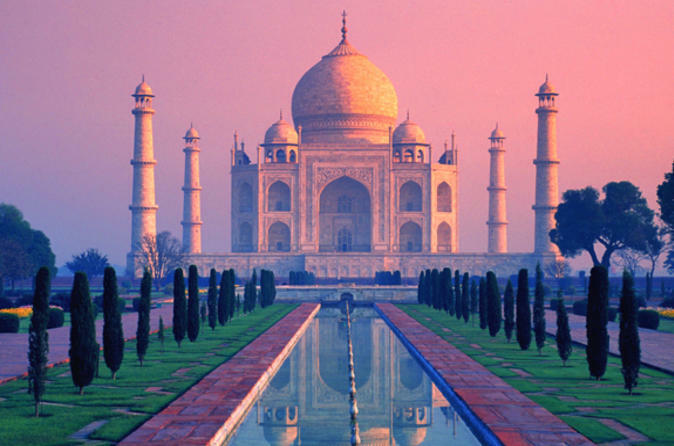 Discover the glory of the Mughal Empire of India on this private day tour of Agra. 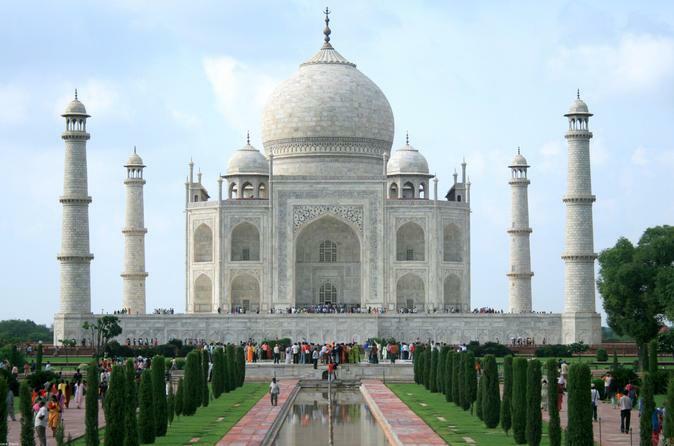 Visit the Taj Mahal, the most famous building in India as the Seven Wonders of the World. Witness the ancient architecture that is significant to India’s history including the Tomb of Itmad-ud-Daulah, also called Baby Taj, and the Agra Fort, a 16th-century Mughal monument. Your own private guide will ensure that you get an in-depth experience of these emblematic structures. 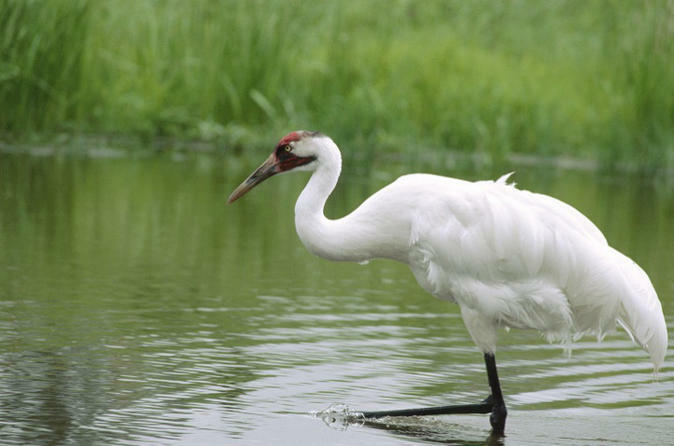 The Keoladeo National Park or Keoladeo Ghana National Park formerly known as the Bharatpur Bird Sanctuary in Bharatpur, Rajasthan, India is a famous avifauna sanctuary that plays host to thousands of birds especially during the winter season. It is also a major tourist center with scores of ornithologists arriving here in the hibernal season. It was declared a protected sanctuary in 1971. It is also a declared World Heritage Site. 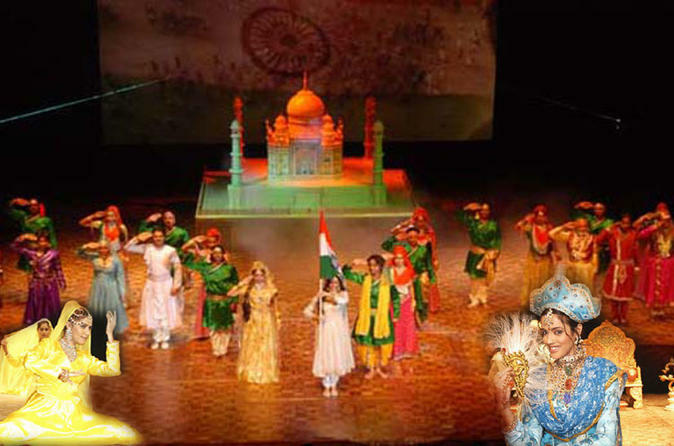 Spend your evening enjoying the amazing Mohabbat The Taj show that depicts the romantic love story of Emperor Shajahan and his beloved wife Mumtaz Mahal in the famous theater Kalakriti Cultural and Convention Center. You will be blown away by the creative dance and dramatic lighting with the 12’ x 12’ Taj Mahal replica as well as the lavish lifestyle of the Mughal Empire. The live show is in both Hindi and Urdu languages and interpretation is available in English, French and German through headphones. On this 2-hour walking tour of Agra, experience what this magnificent city has to offer. From visiting a 400-year old bazaar to food tastings at the local street market, to walking around and appreciating the beautiful architecture of Jama Masjid. Visit old temples, spice markets and see local life up close.